"Yep and Ryder keep the magic coming with their whimsical fantasy, enhanced by Grandpré's sweet drawings. The story positively vibrates with fun." --Kirkus Reviews " Lighthearted episodes of unusual school lessons and field trips, illustrated by GrandPré's winsome spot art, are grounded by Miss Drake's more serious encounters with the goons...a gratifying development as this buoyant, fantastical series continues." --The Horn Book Review From the Hardcover edition. "Warm humor, magical mishaps, and the main characters' budding mutual respect and affection combine to give this opener for a planned series a special shine that will draw readers and leave them impatient for sequels." Laurence Yep is a two-time Newbery Honor winner, a recipient of the Laura Ingalls Wilder Award, and a nominee for the Astrid Lindgren Memorial Award. He is the author of over sixty books, including the bestselling Isabelle American Girl of the Year titles. Joanne Ryder has published over seventy books and received numerous awards for her nature writing and poetry. 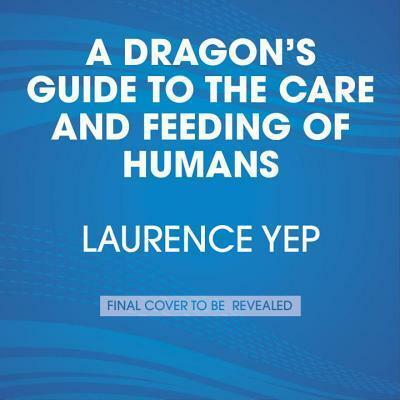 This is her first book starring a dragon and her first collaboration with Laurence Yep, who has many dragon books to his credit.